The ongoing fight against the emergency manager system in the state of Michigan is taking the struggle against dictatorship to a higher level. The corporate state is once again attacking Rev. 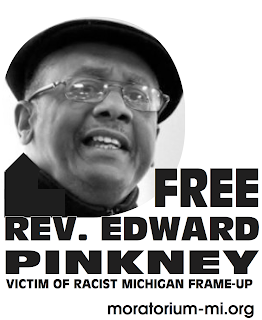 Edward Pinkney of Benton Harbor, Michigan, trying to imprison him for up to 25 years for false “vote fraud” charges (five felonies.) He was convicted of a similar trumped-up charge in 2005. This time Benton Harbor resident James Cornelius is also charged with one count of vote fraud. Rev. Pinkney is a leader in the fight against the corporations and for a just society. His latest “crime” is leading an effort to recall Benton Harbor Mayor James Hightower, a stooge for Whirlpool Corporation, which controls Benton Harbor. We have reached the point in America where we cannot even challenge our own elected officials without fear of being arrested and imprisoned. We are fighting the dictatorship of the corporations. We cannot let this attack go unchallenged. We are being stripped of all our rights. 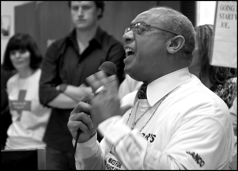 To defend Pinkney and Cornelius is to defend our right to determine our future. The question before us is, who will control America—the people or the corporations? That the wealthy and the corporations are resorting to such severe repression shows their weakness. They have nothing to offer the people—no jobs, no safety net, no future. They know that the millions of us who have no future under this system are forced to fight for a new society where everyone’s needs are met. That’s why they attack us. The People’s Tribune has been in the fight in Benton Harbor for many years. We stand on the side of those who are in struggle for a new society. We urge our readers to get the message out nationwide about the battle in Benton Harbor, and to do whatever they can wherever they are to support Pinkney and Cornelius. Let this be our message to the ruling class: We will defend our leaders! We will build a new society free of oppression, violence and poverty, and no power on earth can prevent this. 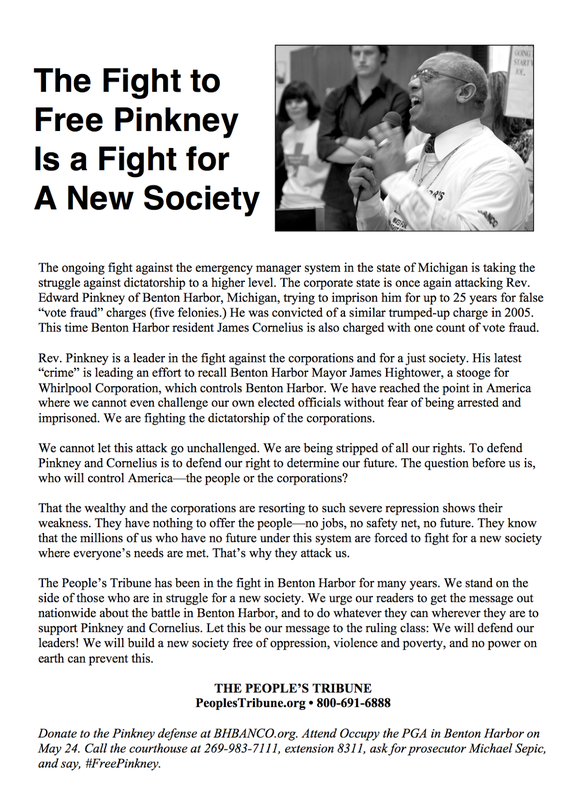 Donate to the Pinkney defense at BHBANCO.org Attend Occupy the PGA in Benton Harbor on May 24. 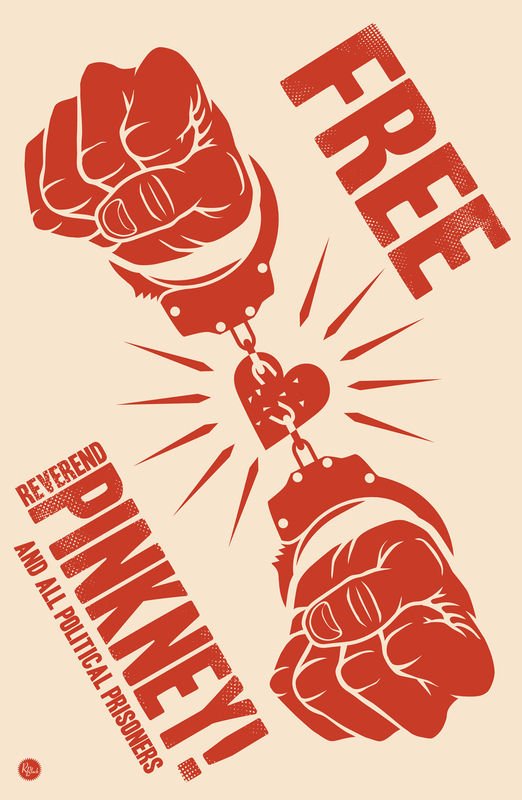 Call the courthouse at 269-983-7111, extension 8311, ask for prosecutor Michael Sepic, and say, #FreePinkney.